In this interview, John Maher (Leucid Bio) discusses the challenges in developing a CAR-based immunotherapy. I am a practicing clinical immunologist at King’s College Hospital (London, UK) and Eastbourne Hospital (UK) as well as an academic immunologist at King’s College London. My primary interest is in the development of adoptive T-cell immunotherapy of cancer. Almost 20 years ago, while a visiting Fellow in the laboratory of Michel Sadelain, I designed and tested the CD28+CD3z second generation chimeric antigen receptor (CAR) platform that was subsequently developed clinically in the B-cell cancer program at Memorial Sloan Kettering Cancer Center (NY, USA) by Renier Brentjens and Michel Sadelain. This initiative built on the pioneering work of Helene Finney, undertaken in the late 90’s here in the UK. Helene was the first to describe the transformative technology that we now refer to as a “second generation” CAR, built initially around a CD28 element. Some years later she tested a range of other co-stimulatory modules including 4-1BB. Bitten by the CAR T-cell bug, I set up a research group in 2004 at Guy’s Hospital (London, UK) with a primary focus on immunotherapy of solid tumors and with funding from the Health Foundation and Breast Cancer Now, followed by Worldwide Cancer Research, Medical Research Council, Cancer Research UK, Bloodwise and the British Lung Foundation (all London, UK). Our first clinical trial commenced in 2015, treating patients with head and neck cancer using intra-tumoral pan-ErbB targeted CAR T-cells and funded by the JP Moulton Charitable Foundation and the Wellcome Trust, with support also from our Biomedical Research Centre at Guy’s and St Thomas’ (all London, UK). At around that time, we also launched a spin-out company, called Leucid Bio (London, UK), which aims to transition CAR T-cells from their “comfort zone”, in treating blood cancers, to the area of greatest unmet need and challenge: solid tumors. How did Leucid Bio come to be set up? The commercial development of cellular immunotherapy was not something that I really envisioned in the early days. Instead, I thought that this type of therapy would be practiced on a noncommercial basis, perhaps akin to hematopoietic stem cell transplantation. Because of this, a number of the CAR T-cell technologies that we developed along the way were not properly protected with patent filings and the like. Once the commercial landscape altered, we did protect novel platforms as they were developed and it is these technologies that we now wish to develop through Leucid. The establishment of the King’s Commercialisation Institute and the Biomedical Research Centre at Guy’s and St Thomas’ were also key initiatives that helped to foster the birth of Leucid as well as other locally initiated spin out companies. The remit of Leucid is very much about using CAR and related technologies to address refractory cancers – notably solid tumors. Why did you decide to focus on head and neck cancer? One of the earliest CARs that we developed in London is named T4 immunotherapy and targets 8 distinct molecular species, representing homo- and heterodimers formed by the extended ErbB network. We were attracted to this approach because most solid tumors are recognized by the CAR. Moreover, given its poly-specificity, it is difficult to conceive how a tumor could evade recognition by antigen down-modulation – a point that we see increasingly frequently in CD19-expressing cancer following CAR T-cell immunotherapy. However, the elephant in the room is the question of how we can ever administer a CAR with this much potential for toxicity, in light of the widespread expression of ErbB receptors in many vital tissues of the body. It was for this reason that we began to think about diseases in which locally advanced or recurrent tumor formation constitutes the dominant clinical problem and in which ErbB dysregulation is prevalent. Head and neck cancer was a good fit as a disease model in this respect. Our thinking was that local delivery of CAR T-cells to the tumor might be safer and ultimately more beneficial for patients. We hoped that the CAR T-cells would remain within the tumor, restricting potential for systemic toxicity. To date, we have treated 13 patients on this trial, at doses of up to 1 billion CAR T-cells. So far, we have not encountered any dose-limiting toxicities or systemic leakage of CAR T-cells into the circulation. We have also seen an efficacy signal, indicated by disease control (stable disease) in 9 patients. Three patients remain alive at 237, 310 and 660 days after treatment. The last of these patients went on to receive PD1 blockade and T-VEC and achieved a durable complete remission. We think these outcomes are significant given that patients with untreatable head and neck cancer all die because of their disease within 30 weeks. What are the challenges of producing immunotherapies such as CAR-T cells? Clearly, there are many challenges with CAR T-cell immunotherapy. Most current approaches are autologous, which represents the ultimate personalized medicine. Scalable high-throughput manufacture will require a great deal of further work and innovation. Many patients are immune compromised and lymphopenic, which adds to the challenge. Generally, patients need to undergo leukapheresis which is an invasive and costly procedure. Some years ago, we developed an IL-4 based selective CAR T-cell expansion approach which has made our lives a little easier in that we can manufacture CAR T-cell batches from a blood draw, rather than needing a leukapheresis product. Ultimately allogeneic approaches would be more straightforward to upscale and these are in development, but they generally require genome editing and may not fully address the rejection issue. Toxicity of these therapies is another substantial hurdle, sometimes unfortunately with fatal outcome. For this reason, there is a tendency to consider this to be an activity that is only compatible with centers that offer an allogeneic stem cell transplantation service, and strong ITU and neurology support. Selection of safe targets is also a key issue, especially in the context of solid tumors. These are highly expensive therapeutic interventions which are likely to be restricted to wealthy western states. Perhaps most worryingly, CAR T-cells don’t work sufficiently well in patients with solid tumors, representing the vast majority of the malignant disease burden and there is a widespread belief that the tumor microenvironment is a key hurdle in this respect. While this is a transformative technology, there is much to do to ensure that benefit is maximized for mankind. What are the challenges of initiating a cell therapy-based clinical trial? My experience amounts to a single trial, but I must confess that it was somewhat taxing to get off the ground. I spent most of my weekends for about a year writing documents pertaining to the study in order to secure regulatory approval. It was also difficult to obtain funding to undertake the study, which was academic in nature. It was important to identify a robust commercialization strategy which did help ultimately to secure the support that we needed from the Wellcome Trust. We also received philanthropic funding from the JP Moulton Charitable Foundation which was pivotal in completing the trial set up and refinement of the manufacturing process. Infrastructure is another key challenge and we are fortunate to be well endowed in that respect in our Biomedical Research Centre at Guy’s and St Thomas’. In the early days, we were working in a new GMP facility, so there were a few inevitable teething problems and the process represented a steep learning curve for many people involved in the study, including myself. As one illustration of the problems we faced, I recall that we were very close to commencing the study when we discovered that the serum used to produce our vector master cell bank was not properly documented by the source supplier. That set back caused a milestone to be missed, seriously jeopardizing the continued funding of the study. Situations such as this demonstrate where the regulatory process can work efficiently. 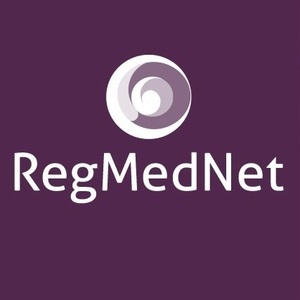 Within 3 months, and with the support of Medicines and Healthcare products Regulatory Agency (London, UK) in evaluating risk, we were back on track and we treated our first patient in July 2015. A further challenge, as with many Phase I trials, is efficient recruitment of patients and dissemination of the message to the oncology community that trials such as this are available for challenging and otherwise refractory patients. It is also difficult to plan combinatorial studies with other emerging immunotherapies, such as PD1 blockade, given in particular our lack of access to drug and prescribing restrictions that operate currently in the UK, which may jeopardize patient access to these medicines if they participate in studies that test combinations of CAR-T cells with short-term checkpoint blockade. What are your predictions for the future of immunotherapy and regenerative medicine? We have only been saying it for 150 years (most of which have been futile), but immunotherapy is evidently the future of cancer therapy! Solid tumors represent the next frontier and we need to understand how we can manipulate the microenvironment and the “Donald Trump-like” wall that cancers erect, in order to enable these therapies to realize their full potential. There is likely to be a great deal of work focused around testing of combinatorial approaches. The problem with immunology of course is the fact that most elements are double edged, so we need to be cautious and open minded in developing and testing new therapeutic interventions that perturb what is a very sophisticated system. I am less familiar with regenerative medicine approaches but intuitively my feeling is that we are made up of cells that represent independent units that work together for the common good. Next generation therapeutics need to reflect this physiological reality.